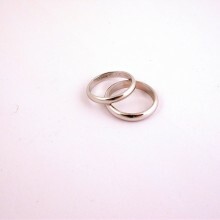 Two wedding rings. 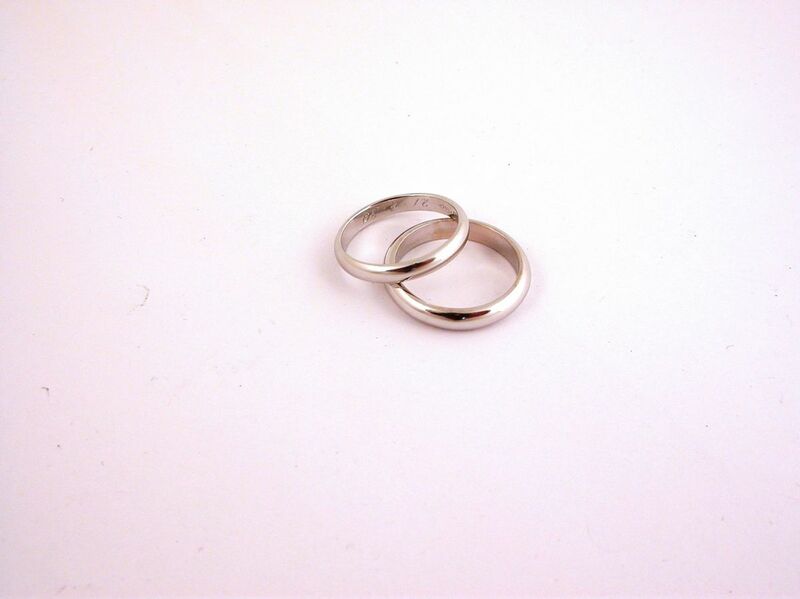 18 carat white gold (kt): 9.00 grams (gr) both. Wide: 0.35 mm. Size: 7.5/5 inches (Usa) | 15/10 mm (Italy). Price: 550.00 euro (included tax 22%).